Yokohama is the Official Shirt Sponsor of Chelsea FC, the English Premier League’s 2016-17 champions. 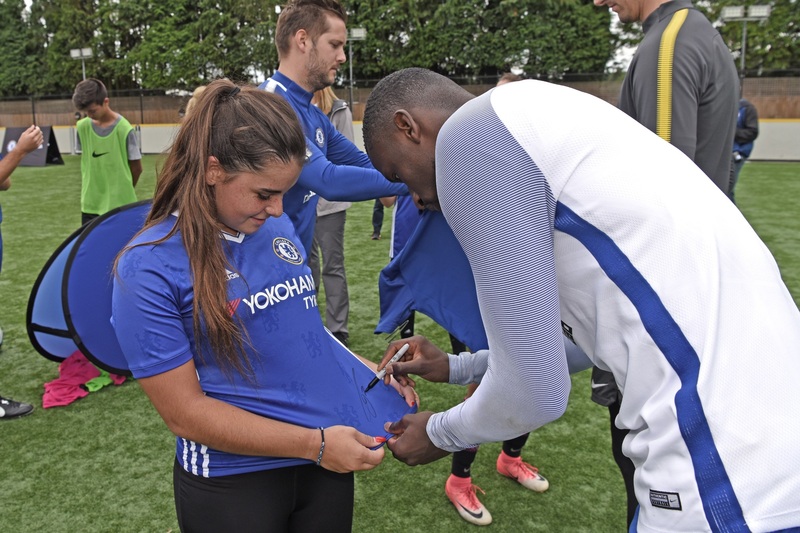 The “London Experience” program includes the opportunity to attend a training clinic at the team’s Cobham Training Center and to see the team play at iconic Stamford Bridge, as well as other VIP amenities. Twelve winners will be chosen in total – two winners of the trip will be determined through an online sweepstakes and 10 will be selected through nominations from Yokohama-sponsored youth soccer clubs. The online sweepstakes runs until June 11, 2018 and is open to any soccer enthusiast nationwide, between 13-18 years old, including those who play in US Youth Soccer associated clubs, Yokohama-sponsored tournaments, as well as other clubs and tournaments. Entries are through Yokohama’s website at https://www.yokohamatire.com/soccer-sweeps. Yokohama’s youth soccer partnerships include title sponsorships of the SSA Chelsea Tournaments Driven by Yokohama, Needham Memorial Day Tournament Driven by Yokohama, Manhattan Kickoff Classic Driven by Yokohama, Austin Labor Day Cup Driven by Yokohama, the Jack Walsh Memorial Tournament Driven by Yokohama and Slammers FC Classic Driven by Yokohama. Yokohama is also the Official Tire of US Youth Soccer.